"Fiction's elite," remarks a character in Salman Rushdie's new novel. "Nobody believes it. Post-factual is mass market, information-age, troll generated. It's what people want." 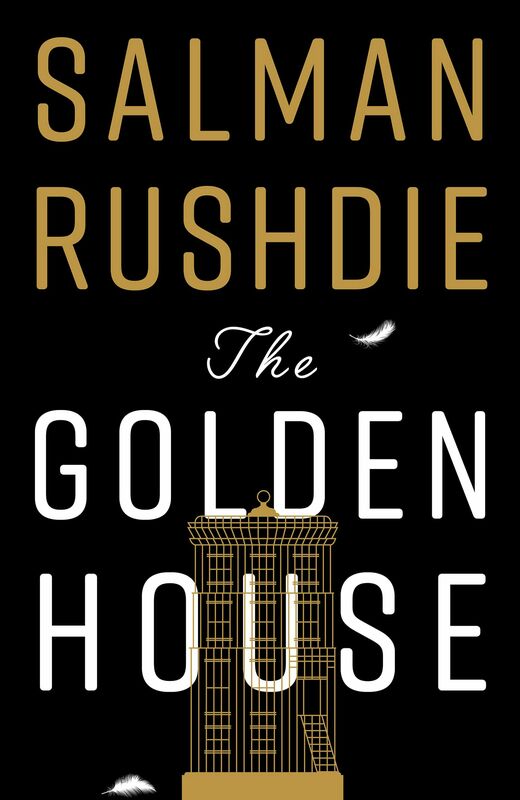 The Golden House is certainly elite fiction, loaded as it is with literary and cultural references and dripping with eloquence. Whether or not you choose to take its words at face value, it will play havoc with your sense of the real. The 12th novel from the 70-year-old Booker prize-winning author follows the fortunes of a displaced tycoon and his three sons, who have taken up residence in a palatial Manhattan home following unknown catastrophe in an unnamed city (later revealed to be Bombay, or Mumbai). Spanning the presidency of Mr Barack Obama to the rise of Mr Donald Trump, it aspires to be the great American novel of our times. Many have attempted this recently - Paul Auster's doorstopper 4 3 2 1 earlier this year comes to mind - but this dense tragedy may be the most boldly contemporaneous venture yet. It is not likely, of course, to appeal to the post-factual masses, who are most in need of hearing what Rushdie has to say. His concern here is the fall of great civilisations. The family is obsessed with these empires of yore; their mysteriously wealthy patriarch reinvents himself as Nero Golden and has forced his children to learn to speak Greek and Latin. The children choose their own outlandishly classical names. The oldest, Petronius "Petya", is a hulking, unpredictable savant; the second, Lucius Apuleius "Apu", is an artist whose outward charm masks deep emotional fissures; the youngest, Dionysus or simply "D", is going through a gender crisis that his self-absorbed brethren fail to heed. Into their lavish, violent world comes Vasilisa the Fair, a gold-digging Russian ex-gymnast with her eye on Nero's fortune, who comes to bed armed with a checklist (monthly allowance? The categories are $10,000, $15,000 and $20,000. "I recommend generosity," she purrs). But for all that she may be an evil witch in a young woman's skin, Vasilisa is biting off more than she can chew in tangling with the Goldens and their unsavoury past. The narrator of the Goldens' fantastic tale is their neighbour, Rene Unterlinden, the Nick Carraway to their Gatsby-like exploits, having for some inexplicable reason gained intimate access to their lives so he can make a film about them. It is thus uncertain if what we are reading is narrative or screenplay, myth or fact, as Rushdie constructs his mise en abyme - here, a film within a book - with relish. The text is replete with cinematic references, from the Rear Window- esque enclave where the Goldens reside, to a love interest who seems to perpetually move in a French Nouvelle Vague film. An entire backstory riffs off The Godfather. Nor does Rushdie stint on the literary or theoretical allusions. Wherever you look, he is dishing out Nietzschean existentialism, or perverting T. S. Eliot in the bedroom. One analogy proves particularly wearing, as he repeatedly compares Mr Trump to DC Comics supervillain the Joker (in the absence of a Batman, Mrs Hillary Clinton does the duty of Batgirl). While he may wish to emphasise how the United States has "left reality behind and entered the comic-book universe", the metaphor is recycled to the point of exhaustion. One wishes he would bash his politicians more inventively. The allusions are a web that keeps the grand collage of the novel in the air, but the weight of its contemporary issues keeps this web constantly stretched to breaking point. The book's title alludes to the Domus Aurea, the vast palace built by Emperor Nero in the heart of ancient Rome. On the first page, Rushdie's Nero plays a Guadagnini violin; this Chekhov's fiddle hints that before the tale is up, something great will go up in flames as we watch and do nothing. •If you liked this, read: The Great Gatsby by F. Scott Fitzgerald (Alma, 2016, $12.75, Books Kinokuniya). In 1920s Jazz Age America, aspiring writer Nick Carraway moves to Long Island and befriends mysterious millionaire Jay Gatsby, who is in love with married socialite Daisy Buchanan.